Do you recognize it? You've seen it here before. It was the last completed sweater that I posted. 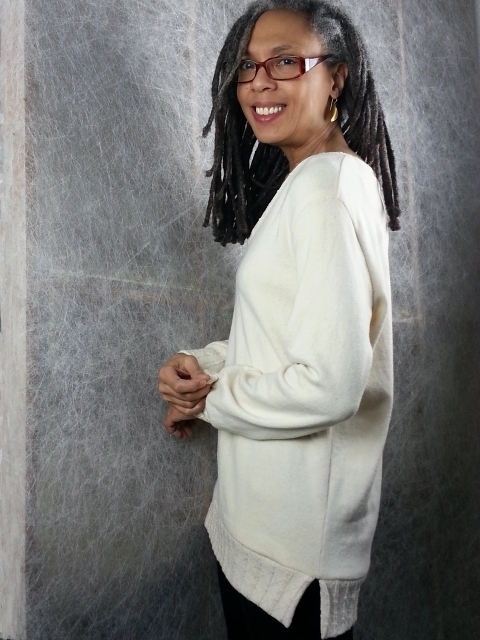 It's Burda Pullover 11/2012 #128 again! Described here previously as a casual pullover, with a rounded v-neck, slightly dropped shoulders, and a side split hem band. 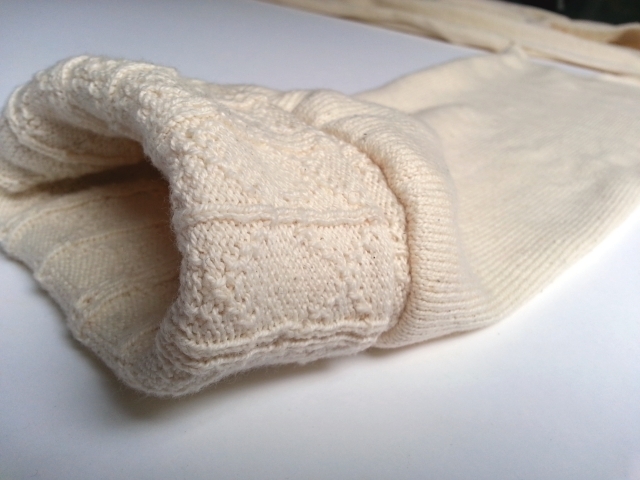 This time I used Natural White Cotton Jersey sweater knit for the main fabric and New Hudson sweater knit for the rib bands. I've been playing with variations since it's the pattern we'll be using in "How to Sew Sweater Knits", the workshop I'm teaching at Workroom Social on March 12th. Registration is now closed. With this version of the sweater, I've included the split rib band as in the original pattern, though I altered the size of the bands. 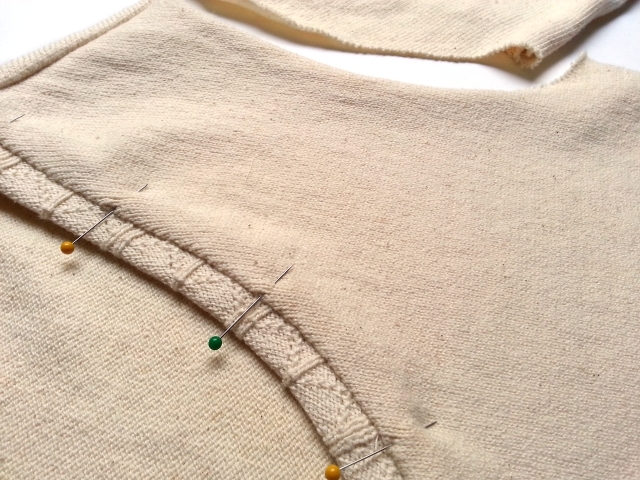 I've also replaced the hemmed neckline with a narrow neck band. What I enjoy most about this sweater is that it's a good basic pattern. A variety of knits can be used, edge finishes can readily be substituted, and the pullover can be easily shortened or lengthened. I suppose that last statement can be said about most basic patterns. We use our imaginations and creativity to make the garment we want. That's why we sew. What a chic sweater! I love this shape- I can see why you went back to it! Thank you, gingermakes :) It's funny though, Sonja, a year ago I wouldn't have chosen this because I wasn't wearing this shape. And this pattern came out a few years ago. Took me this long to catch up haha! You look beautiful in this sweater. It looks really comfortable.